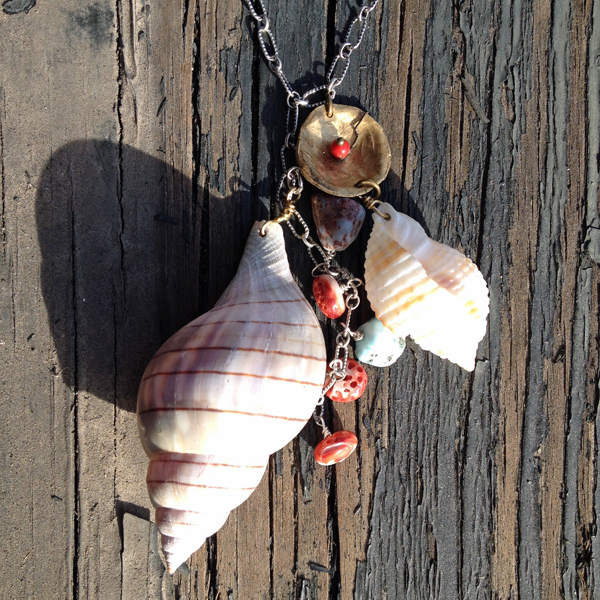 A 30 inch sterling silver chain supports a winning cast of items from the sea in our Beach Breeze design. 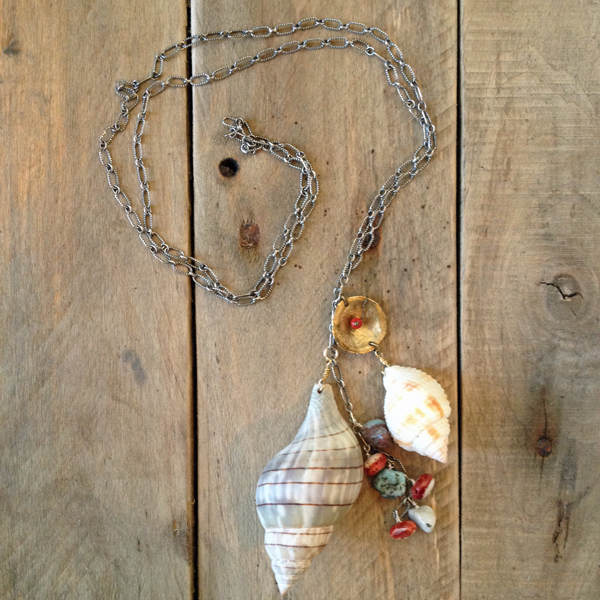 The cast includes shells, coral, spiny oyster, Larimar, and reclaimed brass. Wherever you are, you bring a refreshing “beach breeze” with you.